A world famous Japanese jazz player, Mr. Sadao Watanabe, came to see Alexander's performance and join him to play with!!! 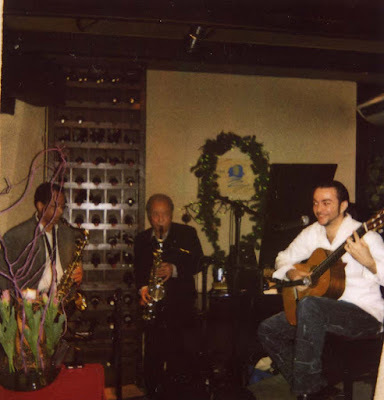 Alexander met with Mr. Sadao Watanabe at a Christmas party last year and played privately then. What a nice surprise he keeps Alexander in his mind!!! Kanayuni's customers at the day were so excited to see their collaboration play. Alexander respects Mr. Watanabe a lot in his attitude toward music.